I have been lucky enough to see how effective interactive whiteboards can be in developing deeper learning activities among primary and intermediate students. These students in particular tend to need the more hands on interaction that the interactive whiteboards afford. These learning experiences help them develop a deeper understanding of the learning objectives and keep them engaged during the lesson. I need one of these for our classroom to help increase the amount of time students are actively engaged in their learning, and to assist students with taking more ownership of their learning. 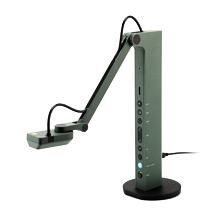 This IPEVO system would allow students to work in small groups during reading instruction to practice vocabulary, spelling, and other language arts skills. In addition, this system allows math, science and social studies lessons to take on a deeper level of engagement. The IPEVO system would also give us a chance to model the advantages of this system to the rest of our school, especially how this can serve the primary and intermediate population.